Improving economy: Is it for real? For the last five years, the story of the economic recovery has felt like one giant fake-out after another. A few months of seemingly strong improvement would suddenly be followed by another period of frustratingly slow growth. Blame it on uncertainty, economists would say, or perhaps brinksmanship in Washington. Can you fault Americans for being skeptical, this time around? Several recent reports have given a lot of reason to feel optimistic about the economy. At 7%, the unemployment rate is now at its lowest level in five years. The housing sector -- which got us into this mess in the first place -- is bouncing back. Home sales and prices are rising and permits for new home construction are back to 2007 levels. Auto sales recently had their strongest growth since 2006. Gas prices have fallen dramatically this year, and stocks are up 26%. Then why doesn't it feel all that rosy out there? A CNN poll released last week showed only 24% of the public believe economic conditions are improving, while nearly four-in-ten say the nation's economy is actually getting worse. Meanwhile, the Consumer Confidence Index, calculated by the Conference Board, has declined two months in a row. The economy still feels depressing because for many people, it is, said Elise Gould, a labor economist at the liberal-leaning Economic Policy Institute. "Those at the very top have bounced back, but we have not seen that for people at the middle or at the bottom," she said. Stocks may be rising, but only half of Americans actually own them. Sure, companies are flush with cash, but workers' wages are up only about 1% from a year ago, after accounting for inflation. Union-led strikes by fast-food workers are on the rise. Then there are those who still cannot find work: About 11 million Americans remain unemployed, and 37% of them have been out of a job for at least six months. 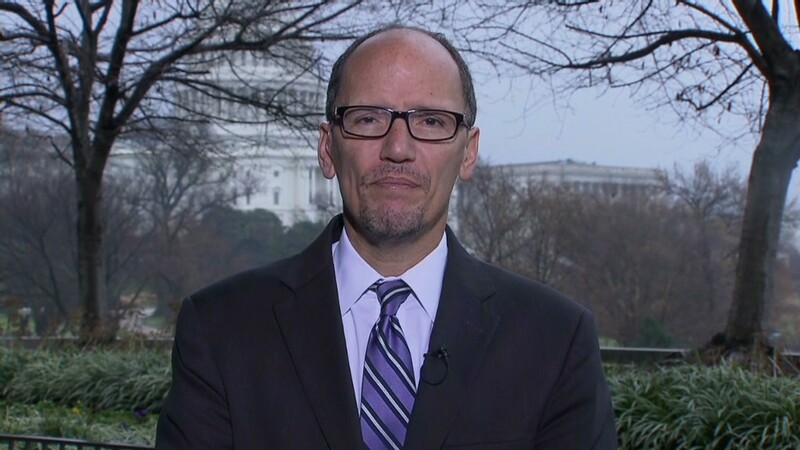 "We continue to be very concerned about the long-term unemployed," said Secretary of Labor Tom Perez. "Their problems persist." When Wal-Mart recently opened two stores in Washington, D.C., more than 23,000 people submitted applications for the 600 job openings. That means each applicant stood a mere 2.6% chance of being hired. Harvard has a higher acceptance rate. "It's not uncommon for us to get this number of applications in urban areas when there is such a need for jobs," Wal-Mart spokesman David Tovar said. Washington's dysfunction remains a wild card as well. Will Democrats and Republicans be able to pass a budget and avoid another brush with the debt ceiling? Employers often cite uncertainty about government policy as a key factor keeping them from hiring in full force. "If there's another government shutdown, or more brinksmanship, bad policy could hurt this momentum," said Frank Friedman, chief executive officer for Deloitte. The company is in the process of hiring 18,000 workers this year across its tax auditing and consulting businesses. So yes, there are positive signs in the economy, and everyone hopes that trend will continue. But will 2014 be the economy's breakout year? Probably not, says Jim O'Sullivan, chief economist for High Frequency Economics. "The word 'break-out' is too strong," he said. "We're four-and-a-half years into the recovery, and if we haven't got a V-shape recovery now, we're certainly not going to get one." The Federal Reserve predicts the economy will grow 3% next year, marking more solid, but still not robust, improvement ahead. 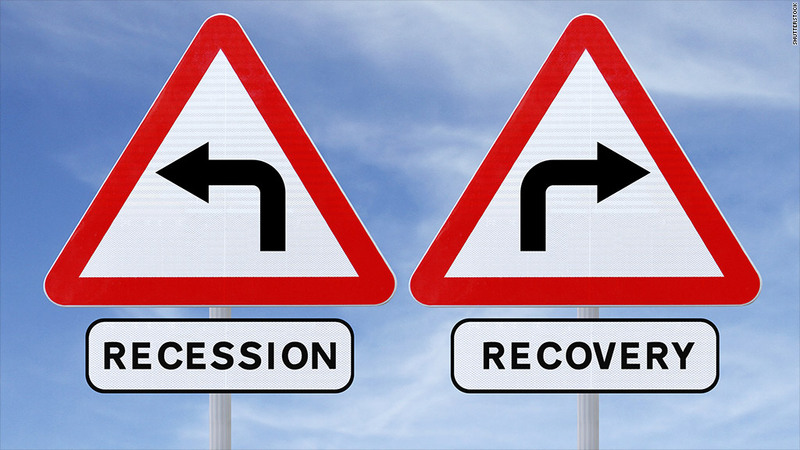 "The positive signs are great, but we have to see this happen month-after-month for a few years for us to feel like we've really dug ourselves out of the Great Recession hole," Gould said.